Overtime, WordPress has become a very large project powering millions of websites. We have people complaining all the time, why does WordPress have so many updates like WordPress 3.4.2 etc. The truth is, it does not have enough updates. Even with all the beta testing on various environments, there is always a slight possibility that the core team may miss a bug or two. While that bug may not affect everyone, but it does affect some. In this article, we will show you how to get bug fixes in WordPress before the next core update using a plugin called HotFix. 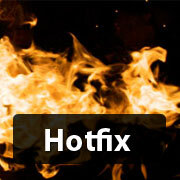 Hotfix plugin is created by two of the core contributors of WordPress, Mark Jaquith and Andrew Nacin. The whole point of this plugin is to provide fixes for selected bugs, so you don’t have to wait until the next WordPress release. For example, some users reported an issue with adding and updating custom fields after the WordPress 3.4.2 release. While there has been no official WordPress update, Hotfix has the bug fixed. To use Hotfix on your site, all you have to do is install and activate the plugin. That is it. There is no backend settings. Now all you have to do is to keep this plugin up to date. Note: Having this plugin does not mean that you should stop updating WordPress core. Excellent, thanks. I have been searching for a few days about the custom fields problem. Couldn’t find anything about it though. It is on all my sites, and I went through deactivating all plugins and so on. That hotfix plugin sorted it immediately, just go t to install that on all sites now. Thanks again.